The strides that Sun of Joy Foundation has made, with the help of FoodForward SA, is making a great impact across all its subdivisions. In 2000, Mvula Ka Mnisi, a qualified Social Worker founded The Sun of Joy Foundation. The Sun of Joy Foundation’s head office is based in Ermelo, while its aftercare programme is based in Gauteng. They also run a community development initiative in Kwa-Zulu Natal as well as a social behaviour change programme and socio economic and human rights programme in Mpumalanga. 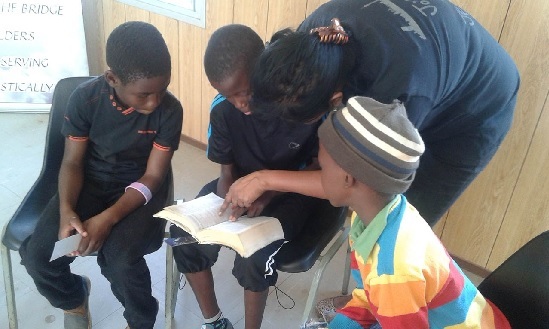 The organisations after school programmes in Gauteng looks after 70 learners. The venture is supported and assisted by FoodForward SA, which enables the Sun of Joy Foundation to provide meals for more kids in-need. The Sun of Joy Foundation currently feeds community children three times a week and with FoodForward SA’s involvement with the after school programme, they have seen increased attendance at the centre for learners whose families cannot afford to provide food after school. This is mainly because many of these children rely on the after school programmes as their main source of food for the day. Through this and other partnerships, Sun of Joy Foundation is expanding to facilitate social behaviour change communication programmes in schools for youth’s age 15-24 years. They are also implementing a mentorship programme for girls and young women empowering them with skills to be resilient.